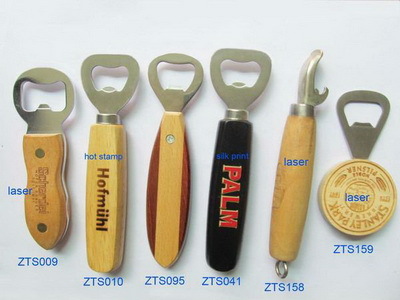 Get bottle opener party favors as your practical event favors. Great selection of different designs and styles. Find the perfect bottle openers at discounted prices here. We are personalised-bottle-opener.co.uk and we personalised your bottle openers and wine bottle openers. Our bottle openers are made of solid wood and stainless steel. We can print any text and logo in 1 colour. Many couples use personalised bottle openers as wedding favours or wedding gifts. cheap bottle openers can help to build your wedding theme. We have hundreds of designs for your options. You also can provide your own design. We can produce and deliver your personalised bottle openers and wine bottle openers in 17 days. Feel free to contact us if you have any question. Wooden beer bottle opener is most common gifts around the world. It is one of the kitchen used helpful tool that you must have. Adding some personal message on wood bottle opener to make it special for your wedding gust as wedding favours. We can print 1 colour design or writing on wood handle for you. You can choose font name, ink colour as well. The maximum printing area is about 40 letters and spaces. personalised bottle opener help you celebrate your wedding party with custom themed parties. These custom bottle openers are very handy and your guests will love them as wedding shower favors. Bottle opener is a great gift for any occasion – as a gift for a wedding party, as house warming gift, birthday gift, for Fathers or Mothers Day, Anniversary, as a gift for Graduation, for your friends, bridesmaids, groomsmen and so on. EVERYONE will love this gift! Need a gift for someone who loves it all and never throw away? This multi-purpose wooden bottle opener is the perfect present! This 5.25" tool features a wooden handle with a stainless steel corkscrew, utility knife, and bottle opener. This tool makes a great groomsman gift, hostess gift, bachelor party present or Christmas stocking stuffer or accompaniment. The perfect gift for those men who like drinking. These bottle opener is completely customizable with what you would like to say. They make awesome gifts. Perfect for bridesmaids, groomsmen, birthday presents and so on. Made to order and these may your good choice of saying.